What Is the Cost of Invisalign in Merrimack? Invisalign is a wonderful alternative to metal braces that can help you enjoy straighter teeth and a more attractive smile in 1 to 2 years. This treatment does come at a higher cost than conventional braces, but most patients agree it is worth the cost to be able to speak and smile confidently throughout orthodontic treatment. But what’s the actual cost of Invisalign in Merrimack? It is difficult to say without a seeing your smile first. Keep reading to get a rough estimate, then schedule an appointment with our office for a more precise amount! 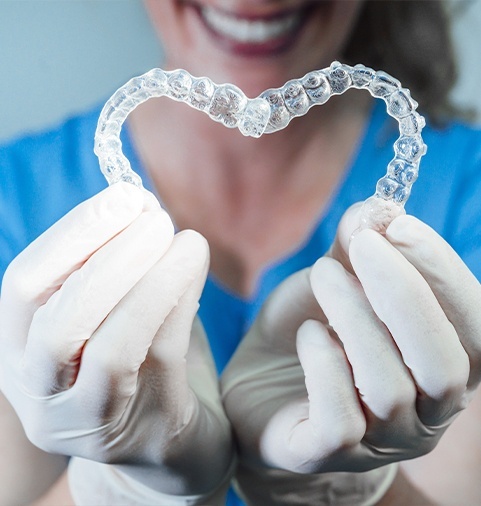 There are several considerations when it comes to the cost of your Invisalign treatment. Rough estimates say it can range anywhere from $3,500 to $8,000 to straighten your teeth with the clear aligner system. This cost depends on a few factors, which we have listed in more detail below. The complexity of the treatment: By far the most significant influence on the cost of your Invisalign treatment is how complex your case is. Maybe you have already had braces in the past and only need a quick treatment to get your teeth back to where they should be. This type of case will be far less costly than someone with significant alignment issues getting orthodontic treatment for the first time. Preliminary procedures: Sometimes, a patient will require one or more treatments before they can begin with braces. An extra tooth may need to be removed to straighten out tooth crowding, for example. These additional procedures will increase the overall cost of the Invisalign treatment. How well you comply with treatment: Because the Invisalign aligners are removable, you will need to take them out before eating and drinking and to brush and floss your teeth. 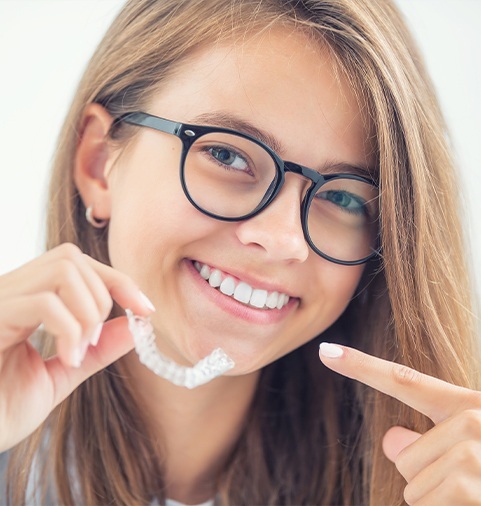 Sometimes, more forgetful patients may accidentally toss a tray in the trash after lunch or neglect to put them back in soon after -- possibly resulting in delayed treatment or the need for replacement aligners. This will of course increase the cost of your Invisalign treatment. As mentioned earlier, these are just some of the factors we will consider when evaluating the estimated cost of your Invisalign treatment. We recommend you come into the office for a consultation to get the exact price for your smile. No matter the cost of your Invisalign treatment, it’s worth it if you are dealing with gapped, crowded, or otherwise misaligned teeth. Orthodontic treatment doesn’t just help you enjoy a more beautiful smile -- it also promotes better oral and overall health. Most people who can benefit from conventional braces can also undergo treatment with Invisalign. Don’t hesitate to learn more about this wonderful option! If you are interested in undergoing treatment with Invisalign, we invite you to contact your dentist in Merrimack to find out if you are eligible and how much your treatment may cost. We can’t wait to help you love your smile! Get in touch with Dental Designs of New England today.